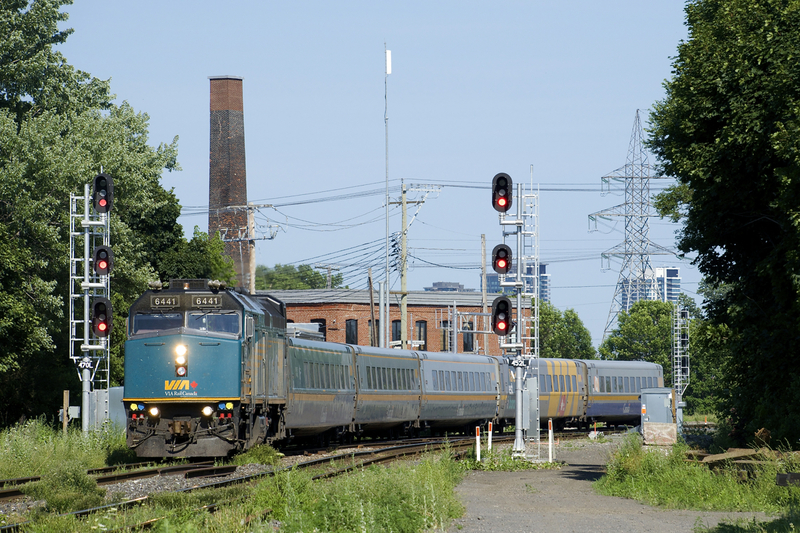 Railpictures.ca - Michael Berry Photo: VIA 6441 leads VIA 67 by a set of signals with five LRC cars in tow. | Railpictures.ca – Canadian Railway Photography – photographie ferroviaire Canadienne. Caption: VIA 6441 leads VIA 67 by a set of signals with five LRC cars in tow.